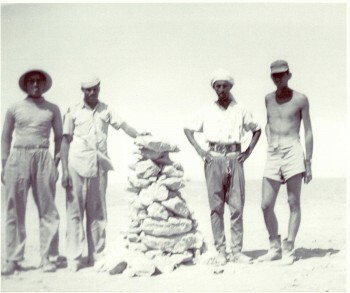 History & Timeline - Tait & Associates, Inc.
After serving his country with the Navy Seabees during the Korean War and locating the first oil wells in Libya for Mobil Oil, Ken Tait opened a small civil engineering consulting firm with partner John Holm in their adopted home state of California in 1964. Their first work order came from Union Oil Company to perform a property survey for a future gas station in Los Angeles. With that, Holm Tait & Associates was in business. 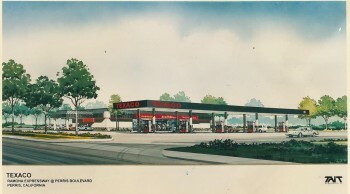 In the early days, most of the work came from building gas stations for the major oil companies as they were scrambling for market share in booming California. As the prime design consultant for hundreds of gas station projects, TAIT developed the skill sets of various different disciplines – and fast. Not only did TAIT master the civil engineering for corner retail projects, they also developed strong competencies in fuel system design, structural/architectural design, entitlement management, and traffic design. From the beginning TAIT has operated on the principle belief that when smart and motivated people are in an environment to allow them to grow, they can do great things. So TAIT developed and maintains a flat organizational structure – a place where imaginative and entrepreneurial ideas are encouraged and supported. With that spirit, TAIT diversified into other industries and geographies. In the late sixties and early seventies, TAIT expanded into airport and Department of Defense energy system design. At this time, TAIT opened an office in San Ramon and John Holm moved to Atlanta to open operations in the southeast. A unique combination of talent, scientific understanding and design philosophy has enabled TAIT to establish itself as an ENR Top 500 Firm. The volume of repeat business we enjoy attests to our commitment to providing the very best in quality, service, and value. Not that every great idea becomes a wildly successful business line. As a matter of fact, TAIT is just as proud of many of their failures as of their successes. In the late 60’s and early 70’s TAIT developed and patented Vaporextm – a mechanism designed to arrest and contain harmful hydrocarbon vapors from petroleum conveyance systems. Though Vaporextm never thrived as a business line, today its innovative technologies have been incorporated into vapor-recovery systems worldwide. 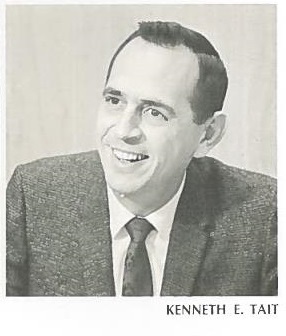 In 1972, John Holm and Ken Tait amicably dissolved their partnership, with John retaining the business in the southeast, and Ken maintaining ownership of western U.S. operations. With that, the company was renamed TAIT & Associates, Inc. The two major oil crises of 1973 and 1979 largely busted the booming development of gas stations throughout the country. This created a big challenge for the company. With their core client base hobbled, TAIT re-tooled and expanded civil engineering services into other industries, namely industrial development and large retail commercial development. The 80’s saw a dramatic increase in regulatory oversight of Underground Storage Tanks (USTs), with the State of California leading the charge. Again, with their experience in the field and an organization that encourages good ideas to flourish, TAIT formed Tait Environmental Services (TES). TES specializes in the construction, maintenance, and regulatory compliance of fueling systems. TES continues to thrive and is currently expanding throughout the U.S. as national and state regulations continue to evolve. With water and soil contamination increasingly falling under scrutiny in the 90’s TAIT hired geologists, chemical engineers and technicians to provide environmental assessments and remediation programs. Client demands and new information technologies has allowed TAIT to expand geographically in the 90’s and 2000’s. Regional expansion has allowed some of the best associates to help realize their potential as business leaders. Nearly all of TAIT’s regional directors and VPs have come from another TAIT office. Recent years have seen TAIT develop a strong footing in providing mapping, design, and environmental services in the single-family and multi-family residential markets. Currently, TAIT is actively developing their public works division, having currently scored some big successes designing highways, water works and public facility projects.